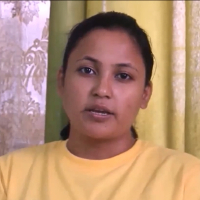 Divya Rawat did her graduation in social service from Amity Ubniversity and masters from IGNOU. She has been awarded with Udhyan Pandit by Uttarakhand Govt. Following which she has worked with an NGO called as Sakti Wahini. She started her own company in 2013 as Saumya Foods Pvt Ltd.
Fungiculture is the process of producing food, medicine and other products by the cultivation of mushrooms and other fungi. "After completing my graduation in social service from Amity University and masters from IGNOU, I worked with an NGO called Sakti Wahini.I have been awarded with Udhyan Pandit by Uttarakhand Govt. I founded my company as Saumya Foods Pvt Ltd in 2013."